All Autism Alliance UK members are specialists in providing services for people with autism and recognise the uniqueness of the condition. Of course all people are unique but generally people with an illness of disability encounter similar challenges or have similar needs. This is not the case with autism. Autism affects everyone uniquely and every person with autism needs a personalised assessment from which a personalised programme is developed, which will recognise the strengths and abilities of the individual and support them to develop and function. 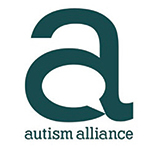 Autism Alliance UK members recognise that all people with autism, in the right specialist environment, can develop and acquire skills and strategies for life. Each person with autism is different. The one thing they have in common is difficulty in understanding the world around them. The difficulty may be much more intense in some people than others; and it may take different forms. Some people with autism are highly articulate and can lead a normal life with little or no support: they may appear gauche or insensitive, but they get through life reasonably well. Others exist in a state of high anxiety, where any change to routine is a major problem. They may not be able to understand other people’s moods or tones of voice, or facial expressions. Some people with autism do not speak – or simply repeat what is said to them. People with autism may have special interests – for example trains or sporting statistics – and they may be unusually sensitive to noise, temperature, colours (or may have lower than normal sensitivity to these things). Taking all of this together, the differences between two individuals with autism can be enormous, and it would be pointless to use the same strategies for different people. That is why we in the Alliance recognise the uniqueness of each individual with autism, and the unique ways in which their autism impacts on their lives. A culture of partnership is at the centre of our services. Staff recognise the need to listen to and learn from the people they support, rather than see themselves as the experts on autism. We recognise that people with autism may be vulnerable to over-direction: being told what to do rather than guided to make independent choices. Over-direction can inhibit the development of skills and can create or increase a dependency relationship with staff. Our aim is to reduce dependency and increase independence and the development of the life skills of thinking, problem-solving and communication.